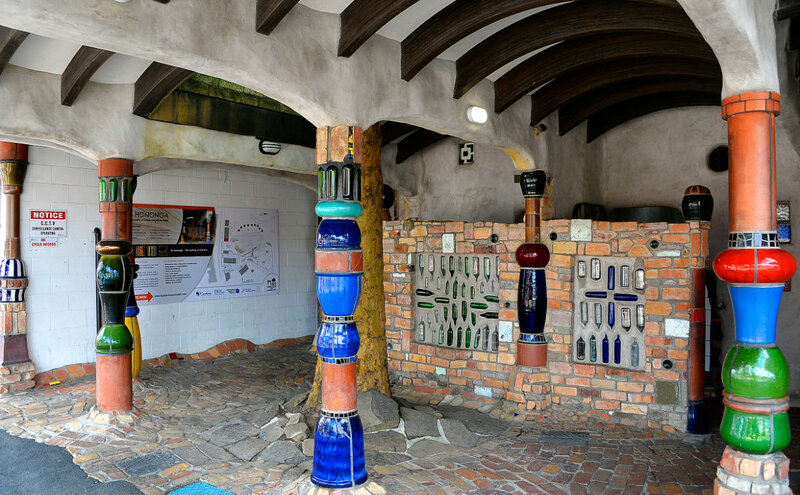 Kawakawa is famous for its loos and the artwork of Frederich Hundertwasser. Some of the shops have now taken to this unique look as well and it looks great. We were on route to places North but stopped here for lunch. We parked down by the Railway Station at the other end of the town and as we walked through, we found that the Cafe’s were a bit light on the food. What we didn’t know was that there were a couple of cruise ships in at the bay of Islands just around the corner and they had bussed in passengers and literally cleaned out the Cafe’s of food! 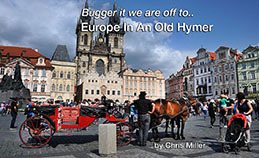 We eventually found one at the other end that the busloads seem to miss so all was good. 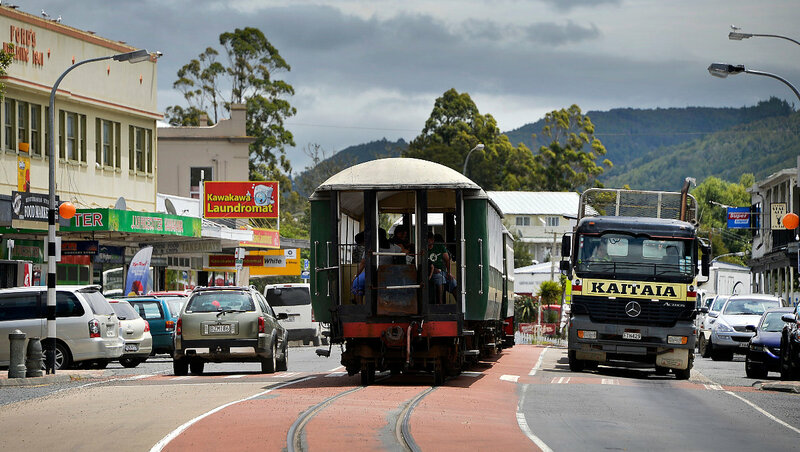 Kawakawa is one of the few places in NZ where the Train goes right through the centre of the main street in town but the locals take it all in their stride. It is a real sight. It’s this big. Dianne, Gary and Fiona walking back to the vans. 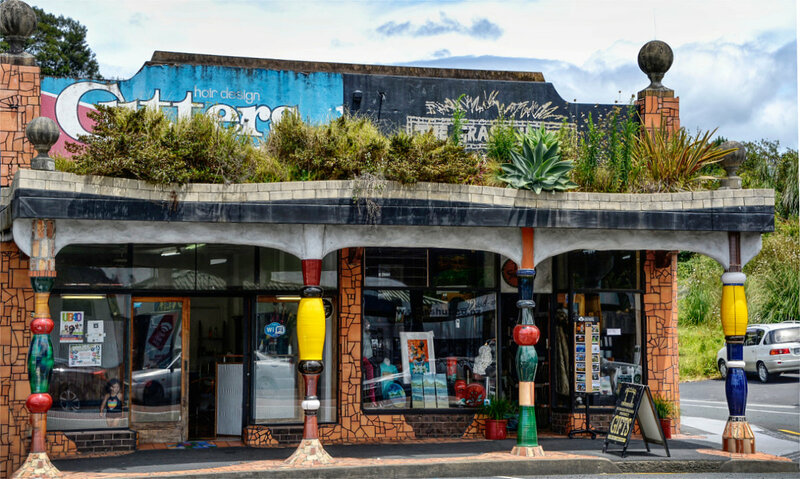 Although most of us know Frederich Hundertwasser as the designer of the Kawakawa loos, he has also designed Railway Stations, Grain Silo’s and other well known buildings all over the world.